Should I book a Hair and Makeup Artist for my wedding? Your dress, carefully chosen from a curated selection in a specialist boutique and immaculately fitted to your lovely form. Those flowers, carefully selected, perfectly conditioned and intricately arranged by a specialist florist. That venue, having agonised over which to choose, and how to dress it, looks perfect. Your expert photographer and videographer are standing by, ready to capture every detail of the day. And all eyes will be on you, the bride! You don’t want your hair and makeup to look anything less than perfect either. One of the ways to achieve this is to book a hair and makeup artist. Your wedding day is a day unlike any other, when your emotions are running at their highest. 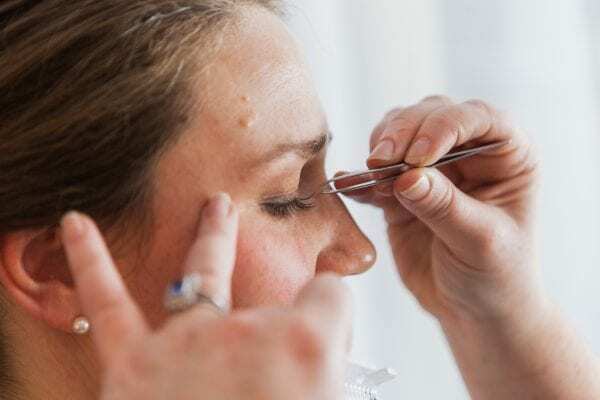 Even brides who are absolute pros at their own makeup have ended up in tears because they just can’t get their eyeliner right. Maybe their foundation went patchy. Your wedding day is not the day to be stressing. It’s the day to book a hair and makeup artist you trust and enjoy being pampered! But this in itself can cause stress! 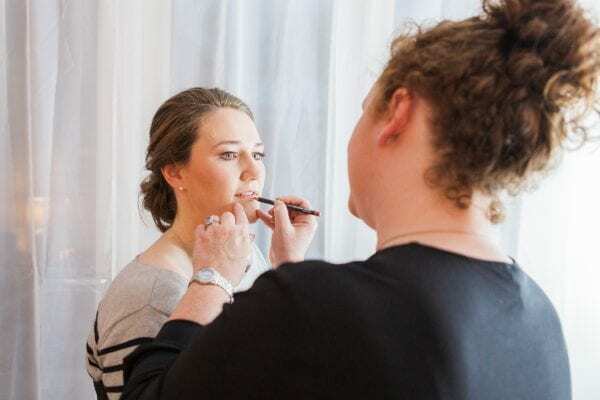 Its always a big decision to invite someone else to do your hair and makeup, let alone on the biggest day of your life. Finding the right person takes time and trust (I’ve got a blog coming soon about how to find the hair and makeup artist for you) but it absolutely can be done. At the end of the day, the decision rests with you, the bride, as to what you will feel most comfortable with on YOUR wedding day. If you want to do your own makeup, then go for it! Want to book THAT celebrity hair and makeup artist, get that booking fee over to them! Want to book me, get in touch! Remember that there are other options too. 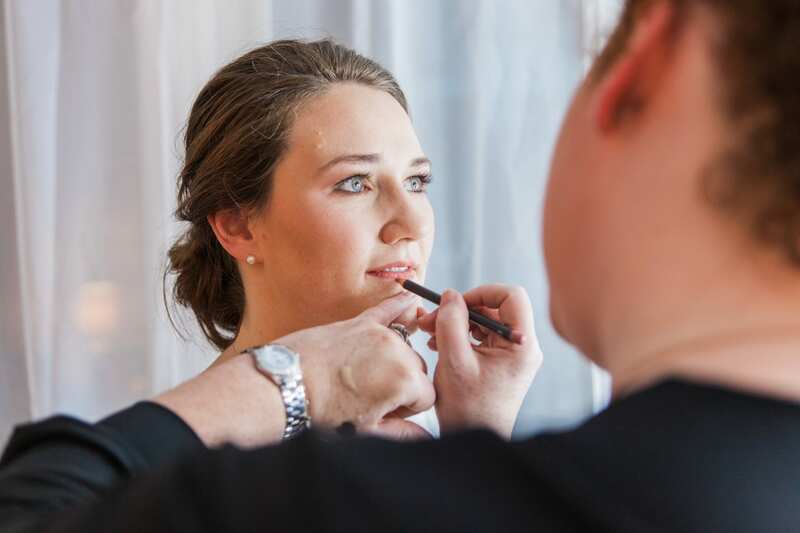 Book a hair and makeup lesson with a professional hair and makeup artist. What about just booking hair or makeup? I would only sound a note of caution about booking into a lesson at a beauty counter. Many of the girls working there are ‘makeup artists’. However, they are also there to sell you products and often work on commission. As such they have divided interests, rather than just wanting to make you feel and look fabulous. Similarly, they can only make recommendations from their own product lines. So, to sum up, as long as you are confident that you will feel like yourself at your MOST amazing and feel fabulous in your beautiful dress, be happy and trust in your decision, whatever that may be. Your wedding photos last forever and I’m so glad I booked an amazing HMUA to come and look after me. I love being able to do the same for my clients.